The political and religious upheavals of the seventeenth century caused an unprecedented number of people to emigrate, voluntarily or not, from England. Among these exiles were some of the most important authors in the Anglo-American canon. 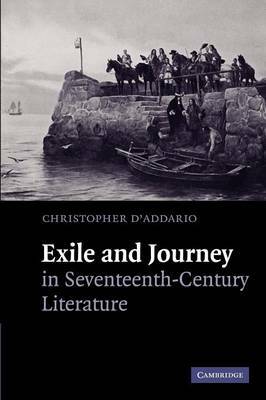 In this 2007 book, Christopher D'Addario explores how early modern authors thought and wrote about the experience of exile in relation both to their lost homeland and to the new communities they created for themselves abroad. He analyses the writings of first-generation New England Puritans, the Royalists in France during the English Civil War, and the 'interior exiles' of John Milton and John Dryden. D'Addario explores the nature of artistic creation from the religious and political margins of early modern England, and in doing so, provides detailed insight into the psychological and material pressures of displacement and a much overdue study of the importance of exile to the development of early modern literature.